And because the event was so massive (4 major platforms were featured; cosmetics, hair care, skincare and inner beauty oral supplements. 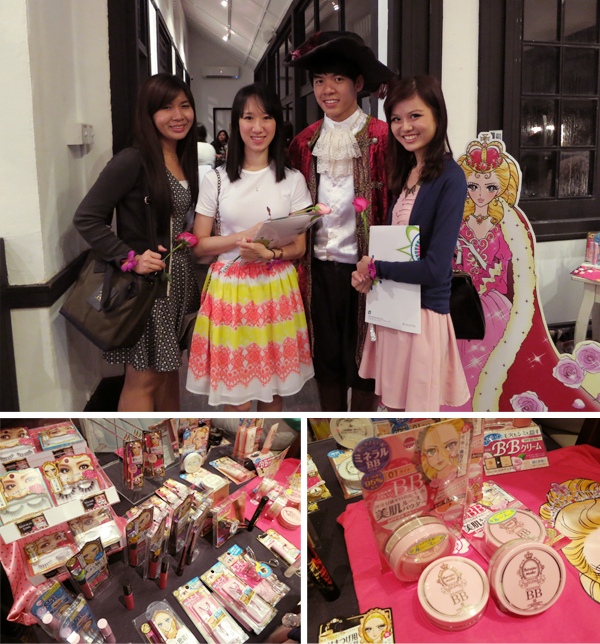 ), we were all divided into teams, colour-coded by flowers! So yay, say hi to the purple Power Rangers! Haha. Available at selected Watsons outlets, from $7.90 to $26.90. The star product is the Fantastic Primer ($24.90 for 15ml). This water-based gel makeup base is suitable for all skin types. Equipped with anti-ageing and anti-pollutants agents and Plankton, this base not only ensures even and long-lasting makeup but also, radiant and healthy skin! Available at selected Watsons outlets. Nail Rock from $9.90 to $14.90. Eye Rock at $11.90. Rock Beauty was next and I got my right index finger decorated! The brand allows us to catch up on trends easily by providing them in easy-to-use, stick-on embellishments. Hang on, gorgeous nails and mesmerizing eyes in a sec! For the nails, you have Nail Rock Classic which are basically normal nail wraps. There are 16 designs to choose from, and I spied a pink one with a tiny mustache in the middle! If you're going to party the night away, glam things up by choosing from the Nail Rock 3D Collection. These nail wraps are textured and adorned in black and metallic shades! Available at selected Watsons outlets, from $19.90 to $24.90. This premium brand was recently spotted with a whole new look. It now has 6 collections; Cleanse & Nourish, Prep, Casual, Classic, Glamour and Creative. Each will breathe life into your tresses, styling them in a way that conveys your attitude to the world. Available at selected Watsons outlets, from $21.90. And this is the booth where all girls' dreams come true... Makeup that gives you porcelain and doll-like complexion, glossy and soft lips and long, fluttery lashes. 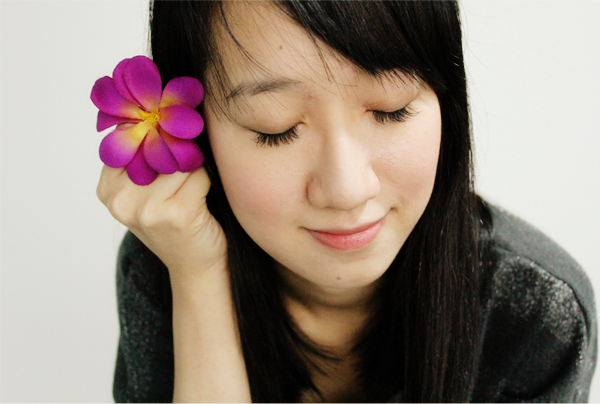 Sighhh... *dreamy look* Before I skip off into my daydream, Eyemazing will be launching a series of pink-brown lashes, the first of its kind in Singapore! Do keep your eyes peeled for #801 Eyemazing AMO Pastel Type A ($21.90 for 3 pairs.) for full and long lashes and #802 Eyemazing AMO Pastel Type B ($21.90 for 3 pairs.) for sweet and natural ones! I like that they are neat and nicely cut at the tips (Princess lashes have some seriously blunt tips! :\). Heh. Maybe I'll pick them out on my next trip to Watsons... Heh. And oh yes! Do you see the brand Avancé?!? I recently saw 2 bottles of their lash serum at Ngee Ann City's Watsons outlet and got both (On 2 separate days.)! Lol. Call me kiasu or whatever but it was on the Cosme list! Haha. But yes, I'm still recovering from the shock of my impulsiveness (You know, like a day later, when everything has sunk in and the excitement is gone...) because these are $39.90 each! Eeps! But fear not! They are out of stock now so no worries about being tempted! Haha! Actually, I'm rather tempted to get their mascara too. So you know, I have the whole deal. Haha. Pretty Jemay helped me put on a pair of Eyemazing lashes in No. 101, the same one that she had on! It was really fab to meet Jemay because we have exchanged several emails but haven't actually met formally! And she was so friendly and sweet and looked so much like a dainty doll with her straight bangs, curls and white lace dress! 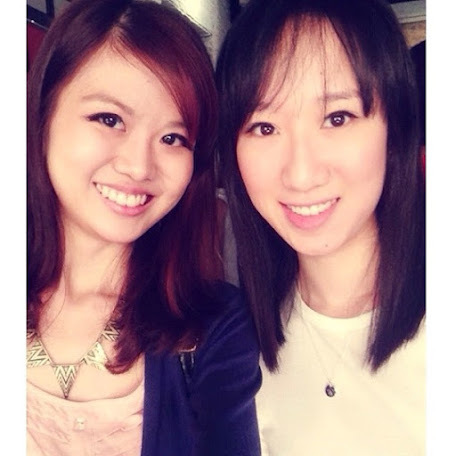 Took this photo from Fel's Instagram because the girl's enjoying herself in Genting now! Here's us with our amazing Eyemazing lashes! Haha! I'm a little hooked on lashes at the moment, especially now that I have extensions on. Long lashes really do make a world of difference! Available at selected Watsons outlets, $128 for 60 capsules (1-month supply). This booth is designed for the weight-conscious! Made from a 100% natural proprietary blend of powerful fat blasting botanical extracts, this has been clinically proven to promote weight loss. An upgraded version of Glow Original, this one promises to accelerate maximum fat loss, oxidize belly fat cells, reduce waistline circumference, increase lean mass to fat mass ratio for a toned body appearance... Among many other benefits! Those who made resolutions to lose the love handles... This will be your solution! 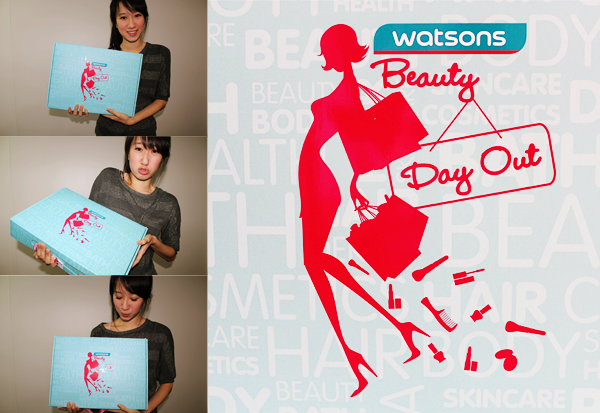 Available at selected Watsons outlets, from $45.90 to $59.90. Made a stop at Dr. Wu's booth after that. 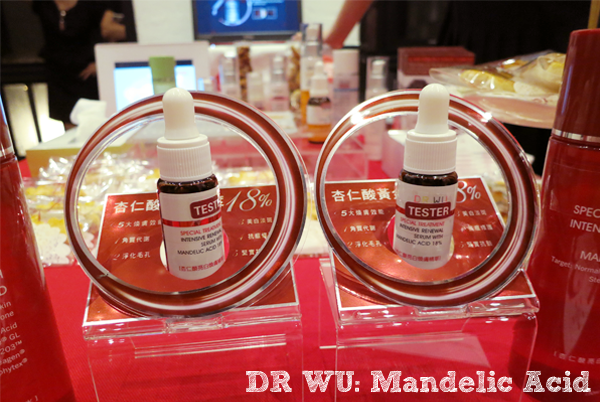 For the uninitiated, Dr. Wu is one of Taiwan's top brands and the products have all been formulated for the Asian skin. They are free from additives, alcohols and have a high concentration of high-grade actives that are safe and effective, even for sensitive skin. Sounds like my kind of thing, aye? The latest line to be launched is the Mandelic Acid's. This acid is known for its superb efficacy in renewing and refining skin for greater clarity and smoother texture. Based on the Derma-Cells Renewal Technology, it helps to rejuvenate skin cells for a softer and youthful complexion. Available at selected Watsons outlets, from $9.90 to $23.90. And last but not least, everyone's favourite Heroine Make!!! I introduced the brand in the 2nd half of 2012 and you can click here to read all my entries. The Long & Curl Mascara is one of my all-time favourites! Anyway, the brand will be launching the BB Mineral Loose Powder this year. Available in 2 shades, this provides a natural and matte coverage, keeping you oil-free and smooth the whole day! 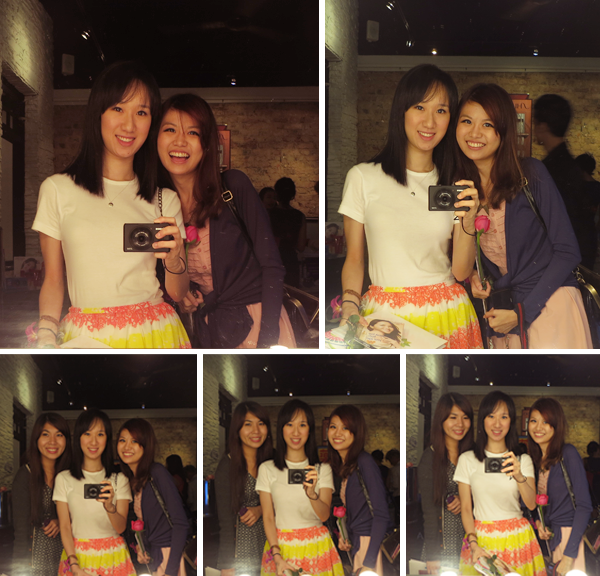 Camwhoring in front of Olay's vanity table! Fel looks so adorable in the first photo (Must be really thrilled with the table lights. Haha. :P). And if you noticed, Patricia was looking in different directions in the second row of photos! Haha. Taught her how to take these camera-in-the-mirror shots, which was taught to me by Fel! Haha. 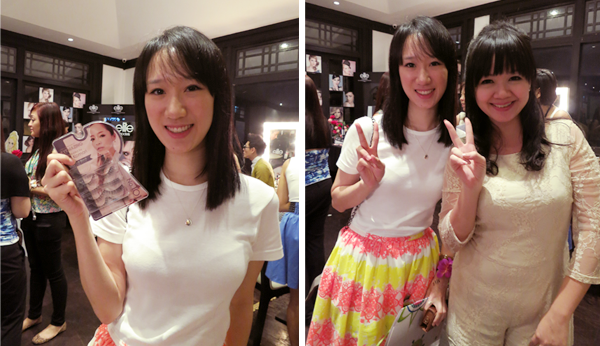 Other brands that were present were Aqualabel (Launching their Anti-Aging Line! ), Senka, Olay (Will be introducing the New Generation Olay Regenerist in another entry! 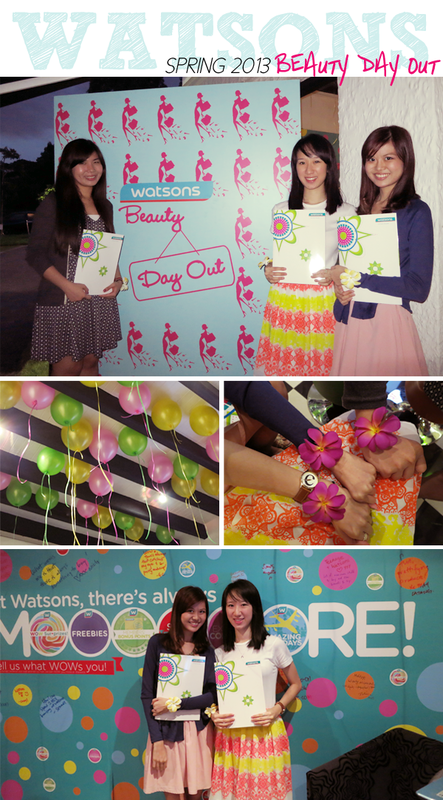 ), Pure Beauty (Watsons' very own brand!) 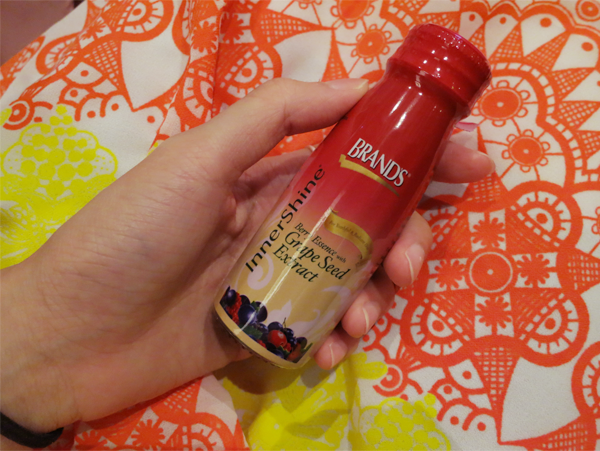 and Brand's Inner Shine! The night ended pretty late but I thoroughly enjoyed myself! 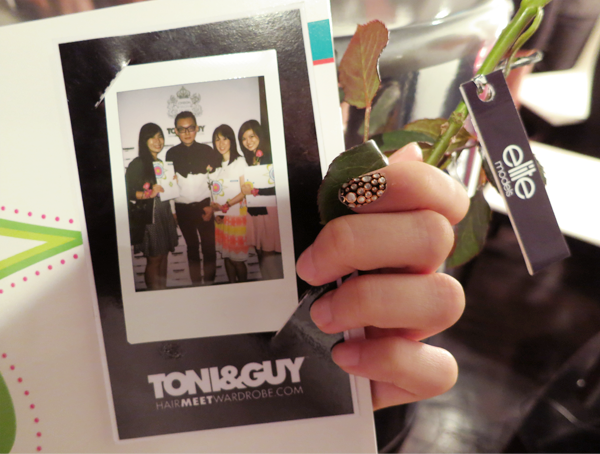 It was so fun touring the booths, trying out and learning about so many brands! I'm especially excited about Eyemazing and Jewelove (As if you can't tell already. Heh!)! Also, it was the first time I was introduced to Dr. Wu and Mandelic Acid sounds really awesome. And of course, I can't wait to own palettes from Elite Models. Then, of course, there are also the wraps from Rock Beauty... And I'm basically just going through all the brands again. Haha!!! 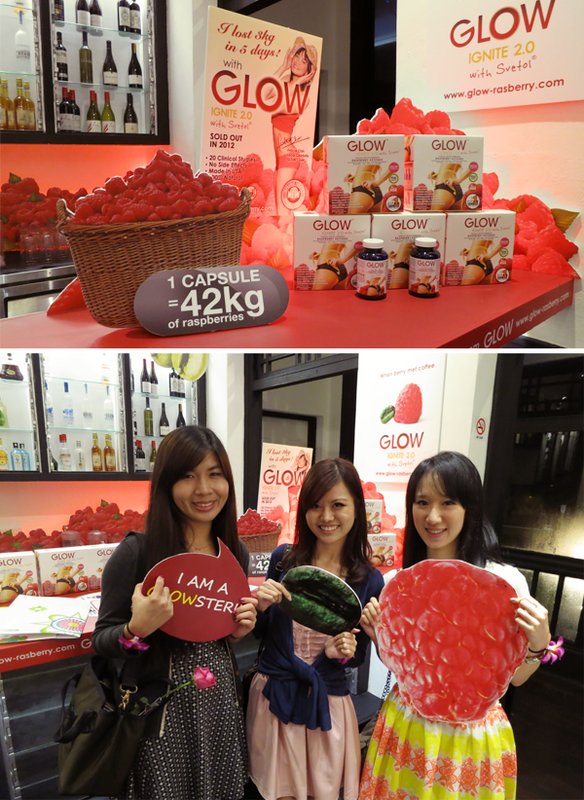 To conclude this entry, here's a peek at the generous goodie box Watsons gave us! :DDD And yes, it was heavy!